At last Friday’s Shropshire Health and Wellbeing Board, the Chair, Karen Calder, the Cabinet Member for Health, refused to commit Shropshire Council to supporting the continuation of an Accident and Emergency service at the Royal Shrewsbury Hospital, or at anywhere else in the local authority’s area. The head of the Shropshire Clinical Commissioning Group, Caron Morton, confirmed at the meeting that the NHS ‘Future Fit’ programme, conducted jointly by the Shropshire and Telford and Wrekin CCGs, planned to have only a single Emergency Department in the near future – meaning either the RSH A&E or the PRH A&E in Telford will close or provide a greatly reduced service. Councillor Calder attacked the unanimous decision of the Telford and Wrekin Council to support keeping a full 24-hour A&E service at the PRH in Telford. The decisions about emergency care will be taken soon. While the Future Fit programme is delaying consultation on its overall plans until after the General Election next year, decisions about emergency care will be taken much earlier. The claim from NHS bosses is that a single Emergency Department will be backed up by ‘some Urgent Care Centres’ – but their plans don’t seem to have gone much further than closing down an A&E. The current state of planning, as presented through Healthwatch organised briefings, shows that Urgent Care Centres are little more than an idea at present. There is currently no inkling about how many there will be, nor where they will be located – apart from a bizarre suggestion in one Future Fit meeting that we can’t have them in Ludlow or Oswestry, because we don’t want patients from other counties using them! Urgent Care Centre opening hours are uncertain – no guarantee that they will be open the 24 by 7 required for meaningful ‘urgent care’. There is no idea how they will be staffed: maybe just by nurse practitioners, maybe by GPs, but not by the highly skilled consultants found in A&E’s. There is no idea yet how patients will get to the Centres, as there is no current commitment to have them served by ambulances. Importantly, there is no commitment to adequate funding. As things stand, patients have no way of knowing if they can possibly replace an A&E department. “I was shocked at the briefings to learn how little the alternative vision had been developed when we are already on a roller coaster to closing one of the A&E’s. I don’t believe the decision to rush through the closure or down-grading of A&E’s is dictated by patients’ needs. The local NHS is making cuts of £8.6 million this year, and the Shropshire and Telford Hospital NHS Trust delayed setting their budget this year because they were facing a £6.2 million shortfall. That’s the real reason they are pushing this A&E closure through. “I’m also shocked by the complacency shown by Shropshire Council. Patients, particularly from the West and South West of the county, already have dangerously long ambulance travel times to RSH. Making those times longer, if patients have to go to Telford, will risk peoples’ lives. Surely the best way to save money, and yet still provide adequate healthcare (including life-saving A&E) across the county, would be to maintain full A&E in BOTH hospitals but rationalise non-urgent care. For example, all Physiotherapy clinics could be based at one hospital while all Eye clinics based at the other. 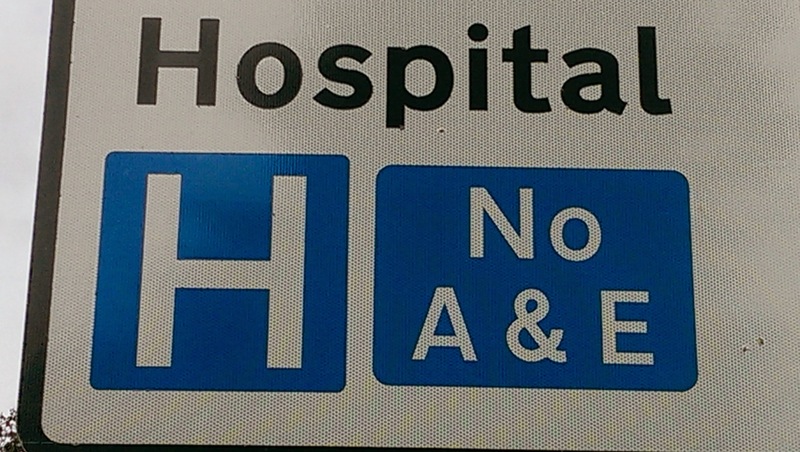 For the majority of people who use the Hospitals but don’t live in either Shrewsbury or Telford, it doesn’t much matter which one they go to for their clinic appointments if you have to drive there. Another example might be all Paediatric care at one, all Stroke care at the other. The point being that urgent, potentially life saving, A&E care should be available as close as possible to everyone in the county, if your condition is not urgent then, by definition, you are unlikely to come to any harm by travelling a few extra miles.